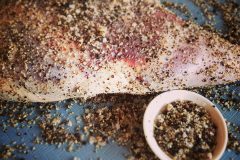 The key to a successful brisket crust has a lot to do with the size of the pepper chunks. Pepper is usally measured in size by mesh, and the ideal size for beef, or lamb is anywhere between 1- and 16 mesh. It's a very coarse crack, sometimes referred to as crushed or kibbled. 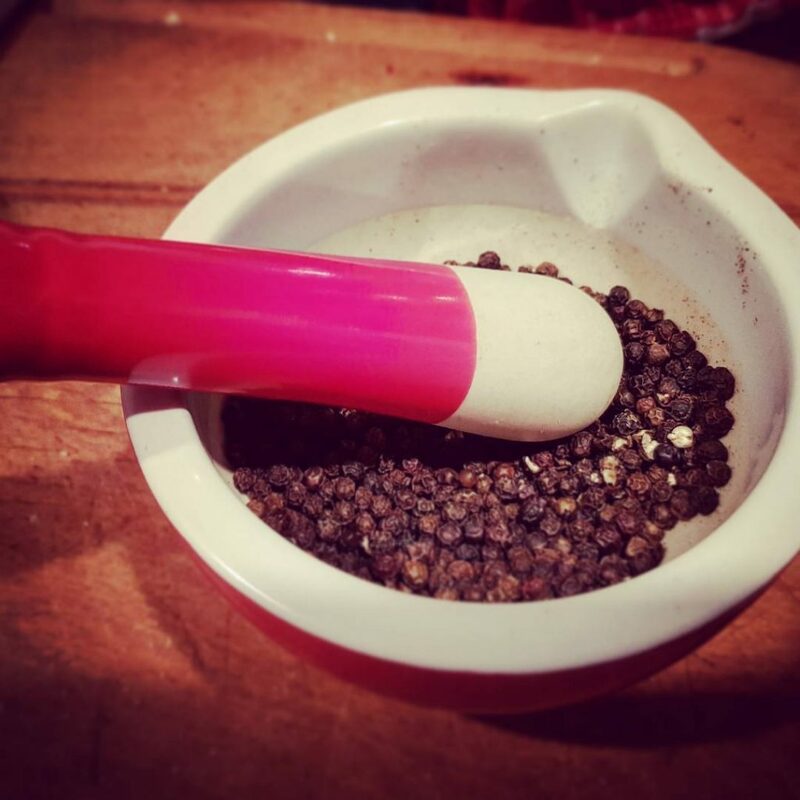 Crack and grind the pepper, best way is to use a mortar and pestle. You can buy already cracked pepper but with whole pepper corns and cracking it yourself it is fresher and has a more peppery flavour. Combine all ingredients, adding the garlic powder if desired (use it, it tastes better). Store in an airtight container for up to 1 month. It will keep for longer, but the pepper will lose potency over time. 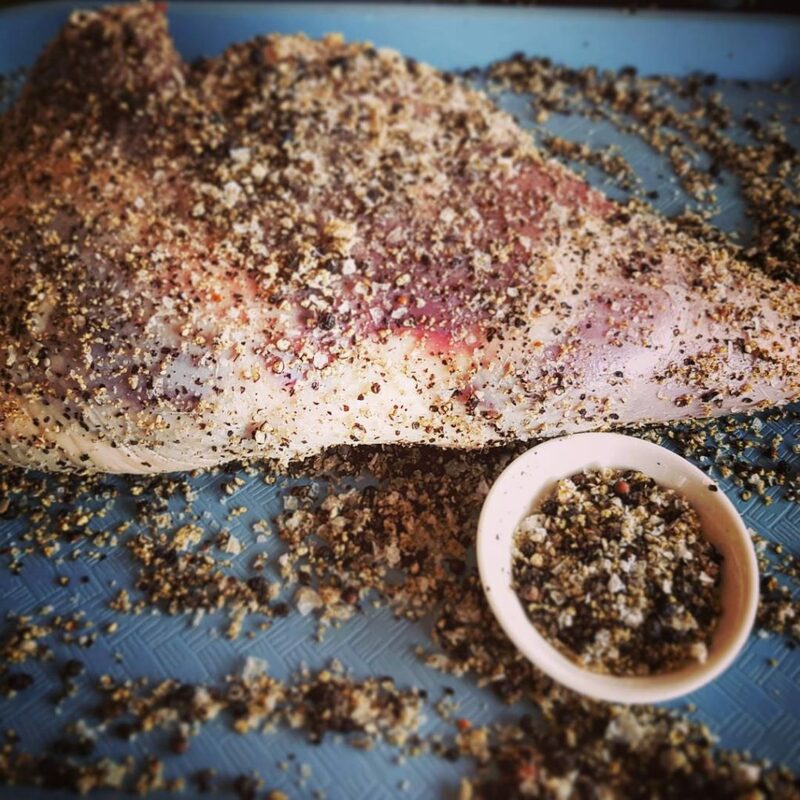 Use this brisket rub on lamb or beef...it is just called brisket rub, but can be used on any meat.